Who was Susan Storm when she wasn't with the Fantastic Four? The matriarch of Marvel's First Family is about to reveal a new part of her past in her first solo limited series this July in INVISIBLE WOMEN! Writer Mark Waid will team up with artist Mattia De Iulis to show Marvel fans a new angle to Sue's Super Hero life, namely her time as a spy for S.H.I.E.L.D.! Marvel Executive Editor Tom Brevoort prepared fans to be surprised by Sue's secret life! In INVISIBLE WOMAN, we learn that Sue Storm was part of an espionage mission with S.H.I.E.L.D. not long after gaining her super powers and founding the Fantastic Four. Now her former partner is in danger -- who is this partner? What was the mission? What else has Sue been up to this whole time? 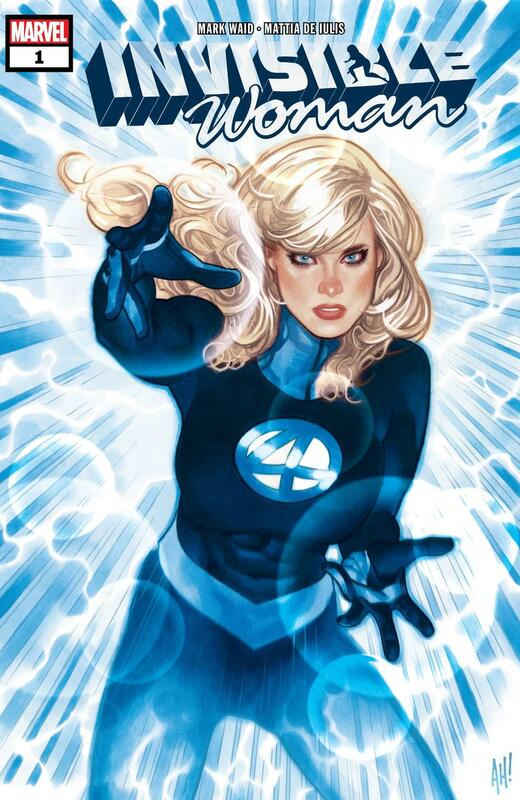 Stay tuned to Marvel.com for more news about INVISIBLE WOMAN #1 and all upcoming new releases!